Introducing a vase to any interior is the easiest way to augment the look of that area in seconds. This particular vase here is made to suit modern and traditional style home interiors. This vase is tall, rectangular shape with lid on top. The green color and black design on it complement each other. 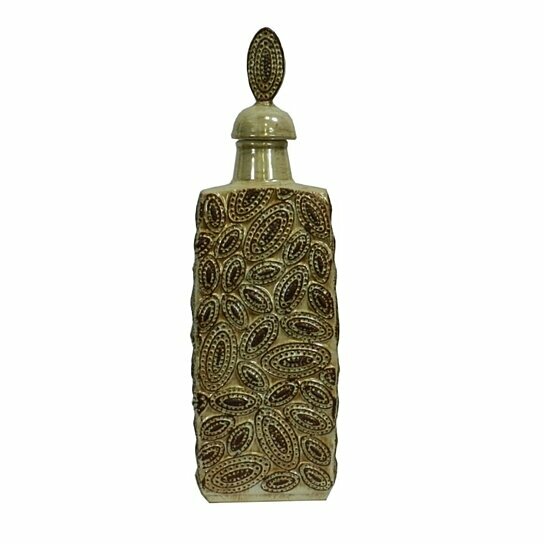 The oval embossed design on the vase is quite attractive. This particular vase can be included in your home interiors easily.